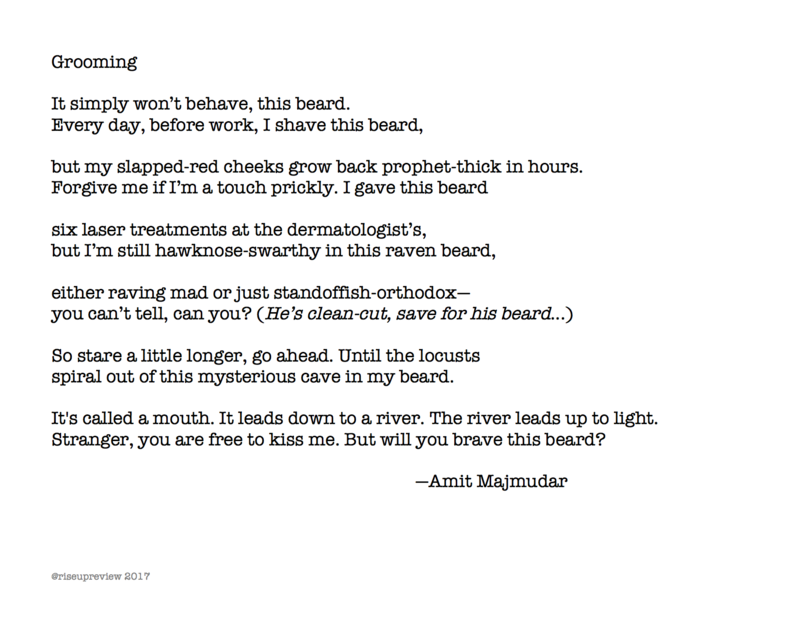 Amit Majmudar is a poet, novelist, essayist, editor, and diagnostic nuclear radiologist living in Westerville, Ohio, with his wife and three children. His most recent collection is Dothead (Knopf, 2016). This year, he edited and introduced an anthology of political poetry, Resistance, Rebellion, Life: 50 Poems Now (Knopf, 2017). He is Ohio's first Poet Laureate, and his next book is a verse translation from Sanskrit of the Bhagavad-Gita, with commentaries, entitled Godsong (Knopf, 2018).